You know it's fall by the sound of music wafting from Coachman Park in Clearwater for the Clearwater Jazz Holiday 2018. With a spectacular view of the Clearwater Harbor, you can arrive by boat, car, or water taxi with your beach chair in hand and your dancing shoes. The festival kicks off Thursday, October 18 and runs through Sunday, October 21. Presented by HCI Group and in collaboration with Ruth Eckerd Hall , the four-day and night festival features national stars and local songbirds, food trucks, craft beers and wine, and all genres of music from smooth and straight-ahead jazz to rhythm and blues, jam band, folk, Americana, funk, fusion, and Latin. No wonder thousands of people flock to the Clearwater Jazz Holiday every year! With support from the Clearwater and St Petersburg/Clearwater CVB, this magical event continues to be a WOW in Tampa Bay and a bright landmark in our region's performing arts reputation. This year's line-up features The Doobie Brothers, George Thorogood and The Destroyers, JJ Grey & Mofro, The Devil Makes Three, Morris Day & The Time, Sheila E., Marcus Miller, Karl Denson’s Tiny Universe - Eat a Bunch of Peaches, Mindi Abair & The Boneshakers, Danny Kusz, Betty Fox Brass Band, The Lao Tizer Band featuring Chieli Minucci, Karen Briggs & Nelson Rangell, The Greg Billings Band, the Clearwater Jazz Collective featuring La Lucha (John O'Leary, Alejandro Arenas, and Mark Feinman), Thomas Carabasi, Jeremy Carter, Valerie Gillespie, John Lamb, Mark Moultrup, Nate Najar, LaRue Nickelson, Gumbi Ortiz, Jamie Perlow, James Suggs and Butch Thomas, Ruth Eckerd Hall/ the Clearwater Jazz Holiday Youth Jazz Band, and more! 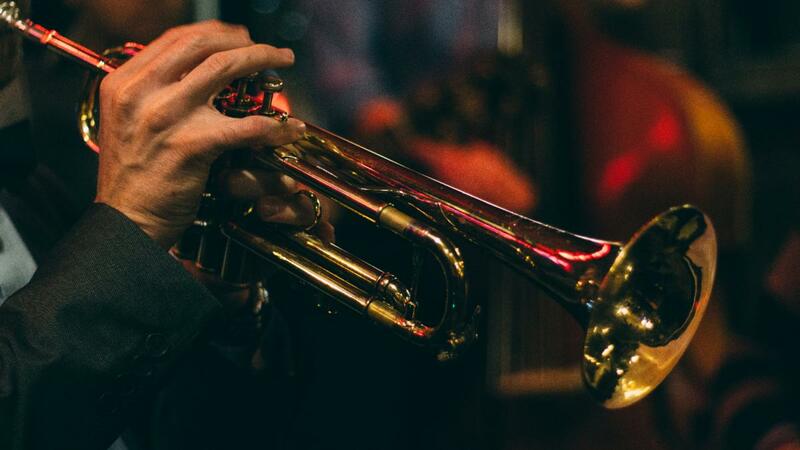 The Clearwater Jazz Holiday is the ultimate party with visitors from all over Florida and celebrity sightings of local TV and radio celebrities. You can buy artist CDs and get them signed or book a VIP backstage experience with private seating, signature cocktails, and delicious dining. Chairs are available for rent, and dozens of vendors showcase hats, concert t-shirts, and posters; they'll even give away fun swag! Best in show are the shirts and festival posters with Elliott Hubbard's electrifying artwork. 7:45 PM - 9:15 PM SHEILA E.
Tickets: Daily, four-day, and weekend tickets are available for both General Admission and Reserved Seating. General Admission and Lawn Seating tickets for the event are starting at $20 per day if purchased in advance or $30 day of show. Four-day and weekend discount packages are available. Kids 12 and under General Admission tickets are FREE when accompanied by a paid adult. No exchanges, refunds, or re-entry. Artists subject to change. Tickets can be purchased online at the Clearwater Jazz Holiday website. Reserved Seating: Get up close to the Tampa Bay Times stage! Reserved seating includes one reserved seat in the front area of the stage on the day you select. Prices start at $50 per day and will increase day of show. Four-day and weekend discount packages are available. Purchase of the Reserved Seat includes admission to Coachman Park. Entrance to the Reserved Seating section is located on the South side of Coachman Park to the left of the main stage. About the Clearwater Jazz Holiday: One of the longest-running and known events in the country, the Clearwater Jazz Holiday has showcased legendary artists and Grammy winners. Best of all, this event supports the arts: The mission of the Clearwater Jazz Holiday Foundation is to be the leading proponent of jazz entertainment and education in Florida through the annual presentation of a world-class, live music festival. The Clearwater Jazz Holiday Foundation, Inc. is a 501c3 organization that has been center-stage for numerous scholarship and educational activities to benefit the music students of our community from the blues-loving beginners to piano-playing protégés and everyone in between. If you have additional questions, you can call (727) 461-5200 and get updates by following them on Facebook. The Clearwater Jazz Holiday 2018 would not be possible without the support of its partners.See the full list of partners here. Find more hot events in Clearwater like the Clearwater Jazz Holiday 2018 by registering on 727area, your free guide to everything in the Clearwater and St. Petersburg area.